Saving Fish From Drowning (2006) by Amy Tan is a novel I read about a year or so ago. 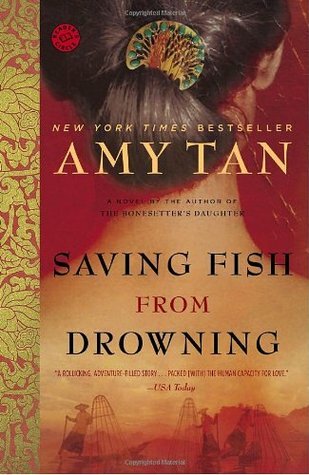 I remember thinking it was based on personal experience - a memorable trip taken a group of Americans to Myanmar, their getting separated from each other, and their resulting contact with some of the embattled hilltribe people there. The book enters the world of the hilltribe groups trying to survive under the rule of a harsh regime intent on destroying them. I watched the life story of the Emperor Penguins on the Discovery channel last night and was mesmerized by the inborn instincts they have to survive - traveling for miles and miles inland in the winter to colder, harder ice in Antartica in order to fnd a mate and hatch an egg in temperatures reaching minus 120 degrees Farenheit. While the male remains inland in the cold to protect the egg, the female treks back across the miles to the ocean in order to feed and make the long journey back to take food to the young hatchling. Sometimes the egg is lost and freezes, sometimes the male doesn't survive the cold or lack of food, sometimes the female doesn't return or returns too late. However, hard as it seems, these animals have been making their ritual journey for a thousand years, and 66 percent of their eggs survive each year, on average. A very moving film, with beautiful filming (the scenery and close-up shots of traveling penguins and icy landscapes). I recommend it to those who haven't seen it. Finished this cozy mystery by Natalie M. Roberts, about crazy dance moms, the world of dance, and a "ditsy" dance teacher involved in murders. I enjoyed reading about the setting, Utah, and a funny Samoan missionary who really wants to be a dancer/dance teacher. When Utah dance teacher Jenny Partridge agrees to help out as a teacher at the Hollywood StarMakers Convention dance competition, little did she realize just how far someone would go to try to discourage her. First, a telephone call threat, then the bombing of her car, followed by another bomb set off in her dance studio, and an attack by a snowplow in a dark parking lot. . Things become more serious when she finds the body of a StarMakers Convention dance teacher in a dumpster. Jenny persists, however, as she needs the money that convention director, Bill Flanagan, has offered her to coach at the two-day dance event. Bill, an old flame and fellow dancer, is in a quandry as two of his teachers have disappeared without leaving any word of their whereabouts or intentions. 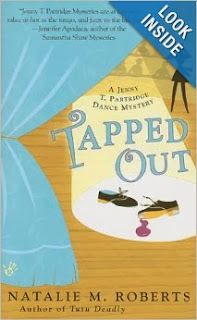 Jenny doen't play sleuth in this second book in the dance mystery series. Events happen around her that leave her depending on a few of her dance moms and her current love interest, detective Tate Wilson. Her character and attempts at humor might seem familiar to those who have followed the mystery series featuring Stephanie Plum, who does play sleuth - the supposedly "ditsy" main character, her conservative parents who try to match her up with every single male available, a quirky grandmother, and reliance on her sometime boyfriend, the detective, to pull her out of sticky situations. Subplots include a Samoan missionary who asks Jenny to help him leave the mission to become a dancer, "psycho dance moms" who hound her day and night about their little dance darlings, and the development of a relationship with detective Tate. Mildly entertaining cozy novel, the mystery does give some insights about Utah and its missionaries, the world of dance competitions, and the obsessed parents of child dancers, the paycho dance moms. Yes, the mystery is solved, and it does involves Jenny, but not through her own attempts at crime solving. China to Me The American journalist/traveler Emily Hahn wrote about her own experiences living in Shanghai, Chungking, and Hong Kong from 1935 to 1943. Her book about revolution and war in China and how it affected the local people and foreigners alike is titled China to Me: A Partial Autobiography, first printed in 1944.It's fascinating reading. Another author writing about Shanghai around 1948 when the Communists enter the city after battles with the invading Japanese, frightening off the Europeans and leaving thousands to flee or fend for themselves - this is the topic of the novel, The Year of the Rat by Lucille Bellucci, printed in December 2000. Bellucci has also written a semi-autobiographical novel, Journey from Shanghai, about a girl who flees the upheaval in Shanghai with her Italian father and Chinese mother, going to Rome and then moving on to other parts of the world, including Brazil. She has written novels set in South America as well. Feng Shui is the art of placement, arranging your environment according to ancient methods that strive to create harmony and a peaceful atmosphere. It could also be seen as a form of interior design when applied to homes, offices, and other living and working spaces. Feng shui favors order and an absence of clutter to help create a pleasing environment. Two authors who have written mystery novels using a feng shui theme: Leslie Caine: Fatal Feng Shui, a mystery with an interior decorator as the main character. Denise Osborne: Evil Intentions and A Deadly Arrangement, by an author trained in feng shui. 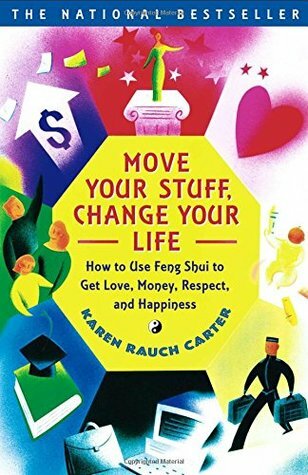 Here's a fun book on how Feng shui works: Move Your Stuff, Change Your Life: How to Use Feng Shui to Get Love, Money, Respect and Happiness by Karen Rauch Carter.Interior decorating following a set pattern based on location and environment, color, shapes, and the five elements of air, earth, fire, metal, and water. Eliot Pattison's Bone Mountain and his other mysteries are set in Tibet. The Dutchman, Robert van Gulek, is well known for his Judge Dee mysteries set in China. More recently, Qiu Xiaolong, has written mysteries in more contemporary times, including When Red is Black and Death of a Red Heroine, featuring Inspector Chen Cao of Shanghai. 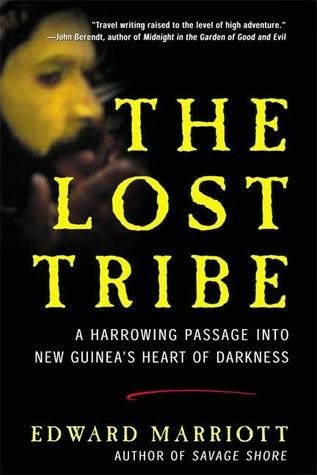 The Lost Tribe: A Harrowing Passage into New Guinea's Heart of Darkness An anthropologist reader had strong objections to Edward Marriott's travel novel (1996) about the author's experiences visiting a primitive people in Papua, New Guinea. The anthropologist-reviewer, who describes himself as having studied the same group of people, the Liawep, for three years, says there are scientific, legal, and ethical problems with Marriot's work. The reviewer is clearly upset that Marriott has profited from the book and not returned any of the profits to the tribe that would help them. He also says the tribal people have disagreed with what was written, were disgusted with it, and denied many of the events. To see the entire comment, see Amazon. com's listing of Marriott's The Lost Tribe and the readers' comments that follow. 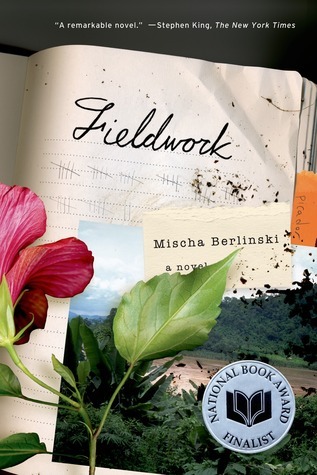 Missionaries and anthropologists are in juxtaposition in Fieldwork, a new novel by Mischa Berlinski. The action takes place in Chiang Mai and northern Thailand among the hill tribes. An American journalist tries to solve the mystery of an American female anthropologist jailed for murder. The book delves into religions, superstition, and another way of seeing reality. The novel follows four generations of an American missionary family, the Walkers, who have lived, preached, and raised children in remote areas of southern China and north Thailand along the Burmese border. The book also looks at Martiya, the daughter of a Dutch anthropologist who follows in her father's footsteps and goes to study the Dyalo, a fictional group of people, who closely resemble hilltribe groups in Southeast Asia. Social science and religion seem to clash in the hills of Dyalo, where Martiya tries to understand tribal customs, beliefs, and religion but where the missionaries try to change the Dyalo and convert them. The spirits of the Dyalo are seen as real and dangerous and jealous of the Christian missionaries. Martiya, on the other hand, looks at the spirit world of the Dyalo through an anthropologist's supposedly objective, non-confrontational, non-challenging perspective. The mystery of why Martiya put two bullets into the back of David Walker, fourth generation missionary in northern Thailand, is explained at the end of the book. Her subsequent suicide in a Thai jail comes after she has completed two manuscripts on life in the women's prison which she sends to be printed in a journal of ethnography in the U.S. Anthropologists put up with some of the difficulties of fieldwork -boredom, disgust, frustration - because of an overwhelming and overriding curiousity about the people they study. The author of the novel, Mischa Berlinski, gives some of his insight into the life of the father of fieldwork, Malinowski, who worked with the Trobriand Islanders who live off the coast of New Guinea. It was his curiousity about one aspect of the islanders' customs that kept him going, Berlinski claims. The puzzling rituals and value placed on armbands and necklaces was more important to Malinowski than the sadness seen in his face in a picture taken with the Trobrianders. Author Berlinksi worked as a journalist for a time in Thailand and has cleverly created a tribe, the Dyalo, complete with customs and beliefs, to make his work seem realistic. The book poses questions about the impact of missionaries overseas and the question of changing a culture versus merely observing it.